Michener specializes in the field of American politics, with a particular focus on the political precursors to and consequences of poverty and racial inequality. Her research aims to identify and examine the conditions under which economically and racially disadvantaged groups engage in the political process. Particular topics that animate this agenda include: the effects of state policies on the political engagement of the poor, the relationship between neighborhood disorder and local political participation, the determinants of state compliance with the public assistance provisions (section 7) of the National Voter Registration Act (NVRA) and the contextual determinants of political interest and efficacy among low-income populations. Michener’s research has been supported by the Ford Foundation, the National Science Foundation and the Robert Wood Johnson Foundation. Prior to joining the faculty at Cornell, Michener received her PhD in political science from the University of Chicago (2011) and completed a postdoctoral fellowship as a Health Policy Scholar at the University of Michigan (2011-2013). "The 2019 Government Shutdown is Just the Latest Reason why Poor People Can’t Bank on the Safety Net," Jamila Michener, The Conversation, January 14, 2019. Jamila Michener's research on Medicaid recipients discussed in Jeff Spross, "Welfare's Customer Service Problem," The Week, August 21, 2017. "People Who Get Medicaid are Made to Feel Powerless. That Pushes Them out of Politics and toward Fatalism.," Jamila Michener, The Washington Post, August 17, 2017. "Why We Shouldn’t Drug Test Poor People," Jamila Michener (with Julilly Kohler-Hausmann), New York Times, June 28, 2017. 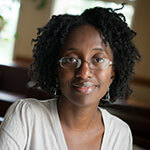 Jamila Michener's research on race and voting discussed in Kurlya Yan, "Profs Describe How Issues of Race Sway Voter Groups in Election," Cornell Sun, October 28, 2016. "Playing Offense on Voting Rights," Jamila Michener, The American Prospect, June 10, 2016. "How to Address Disparities? Prioritize Participatory Research and Practice," Jamila Michener, Robert Wood Johnson Foundation Human Capital Blog, April 30, 2014. "Perceptions of Risk and Social Disorder Can Have a Huge Impact on Local Political Engagement," Jamila Michener, American Politics and Policy, London School of Economics Blog, December 12, 2013. "Health Care, Inequality & Dr. King: Reflecting on Our Priorities," Jamila Michener, Robert Wood Johnson Foundation Human Capital Blog, January 17, 2012. "Neighborhood Disorder and Local Participation: Examining the Political Relevance of ‘Broken Windows’" Political Behavior 35 (2013): 777-806. Investigates the implications of neighborhood disorder – graffiti, litter, public intoxication and the like – for political behavior, taking particular care to distinguish between the objective tangible conditions of disorder and residents’ subjective interpretations of those conditions. "African American Women: Intersectionality in Politics" (with Cathy J. Cohen and Andrew Dilts), in The Oxford Handbook of African American Citizenship, 1865-Present, edited by Henry Louis Gates Jr., Claude Steele, Lawrence D. Bobo, Michael Dawson, Gerald Jaynes, Lisa Crooms-Robinson, and Linda Darling-Hammond (Oxford University Press, 2012), 492-519. Employs an intersectional approach with a historical focus in order to examine the political participation (broadly construed) of African-American women from Reconstruction to the present milieu. "Minority Report: Kanye West, Barack Obama and Political Alienation" (with Cathy J. Cohen), in Democracy Remixed: Black Youth and the Future of American Politics, edited by Cathy J. Cohen (Oxford University Press, 2010), 108-155. Identifies comparatively high levels of political alienation among African-American youth and examines why such attitudes persist, despite young Black people (ostensibly) having more opportunities than ever before and notwithstanding the groundbreaking presence of an African-American in the oval office.